APEC Brand AIW-S series is improved machine on the base of standard AIW series. It goes along with automatic holding system and temperature cooling system. 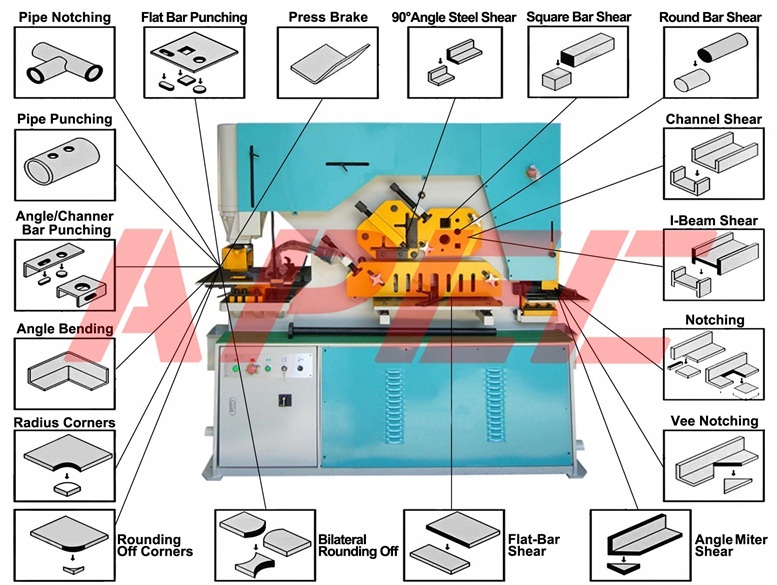 Automatic Holding System: There is automatic holding system in angle steel shearing and plate shearing work position. The holders will fix the position of work-piece, in this way, the accuracy is better and more safety for workers meanwhile save time and Improve working efficiency. Temperature cooling system: Once start the machine,the cooling system starts working automatically.The hydraulic oil temperature always stays at 60 degree or less.It is applicable and safety for processing in quantities and long time.